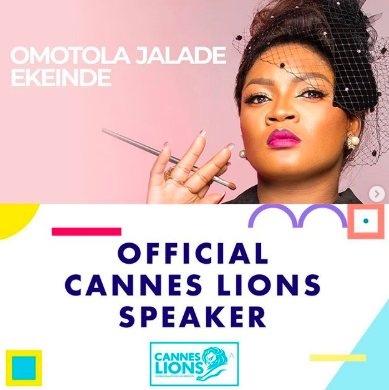 Omotola Jalade-Ekeinde will be speaking at Cannes Lions. Cannes Lions is an International Festival of Creativity focused on identifying effective and creative methods of marketing communications. Ekeinde’s talk is titled, “The Authentic African Story.” She is scheduled to speak on Thursday, June 20th at 16:15 p.m. Other speakers that will be present at Cannes Lions as well are writer and producer Shonda Rhimes, Director Alfonso Cuarón, Netflix writer and producer Kenya Barris, Executive Director Ai-jen Poo. Check out Cannes Lions's official schedule to see all the speakers! 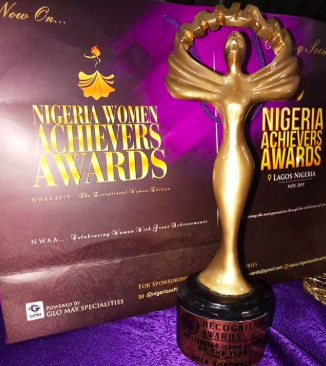 Actress Sola Sobowale was honoured at the Nigeria Women Achievers Award. Sobowale was crowned as the Outstanding Icon Actress of the Year at the awards show. Some of the other winners were Oluwatobi Adekoya for Next Rated Actress of the Year (Yoruba), Yewande Adekoya Abiodun for Best Lead Actress of the Year (Yoruba), Bella Ebinum for Next Rated Actress of the Year (English), Daniella Okeke for Enterprising Actress if the Year, Remi Ibinola for Director of the Year, Presstora Ify for Producer of the Year, Destiny Etiko for Best Lead Actress of the Year (English), To see the full list of winners go to Nigeria Women Achievers Award's Instagram page! All of these women are clear experts in their crafts. Congratulations to all of these strong women! We can’t wait to see what you all do next. 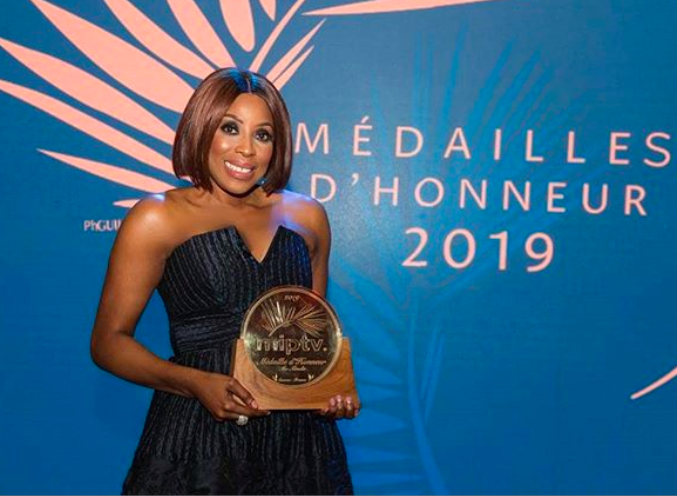 Mo Abudu was awarded the Médailles d'honneur 2019 at the MIPTV Ceremony. This award is given to individuals who have made a tremendous impact on the global television industry and have expanded the community as a whole. To make her achievement that much more amazing, Abudu has also made history as the first African to win the Médailles D'honnerur. What a well deserved award! Congratulations to Mo Abudu! Disney is coming out with lots of live action adaptions of its classic movies this year but, by far, the most anticipated release is "The Lion King." To get the excitement going for the upcoming movie launch. Disney released "The Lion King" official trailer. We all know the story of "The Lion King". Simba's tale has a special place in our hearts; The animated version already pulls at our heartstrings. We can't wait to see if the live action movie will have the same effect! What do you think? Are you excited for the live action version of "The Lion King?" Let us know in the comments below. "Avengers: Endgame" is almost here, and Marvel won't let us forget it (not that we'd event want to). The highly anticipated followup to "Avengers: Infinity War" is almost here, and we can't wait to see if the Avengers will be able to undo Thanos's actions. The movie is said to pick off near where "Avengers: Infinity War" ended. Some of our favourite heroes, who were missing from infinity Wars, will be making an appearance as well. We don't know about you, but we can hardly wait to see this movie. Check out the new trailer below and let us know what your favourite part is! Everyone's favourite eccentric family, The Addams Family, is finally getting their own animated movie. The classic movie, based on a horror comic by Charles Addams, is one of those cult films that people just seem to know about. So it's not that surprising that Hollywood has decided to add "The Addams family" to its list of movie remakes. The movie has already been made and is set to release on Halloween. Fitting, don't you think? Check out the trailer and let us know what your thoughts!